Fall…my favorite season. And it’s finally here! This year the weather has been perfect! Cool, crisp, dewey mornings, with gorgeous sunny afternoons in the mid 70’s, followed by beautiful sunsets, with clear skies. This Fall truly has been beautiful. The leaves are just starting to change into those bright, vibrant reds and gold hues. I tell ya, with every birthday each year, every “back to school” in the Fall, time seems to go by faster and faster. There is no getting around it, that’s for sure! But somehow I wish time would go a bit slower in the Fall months. I love this time of year, when kids go back to school, the days get a tad bit shorter, the weather is perfect, gardens start to die down a bit…. 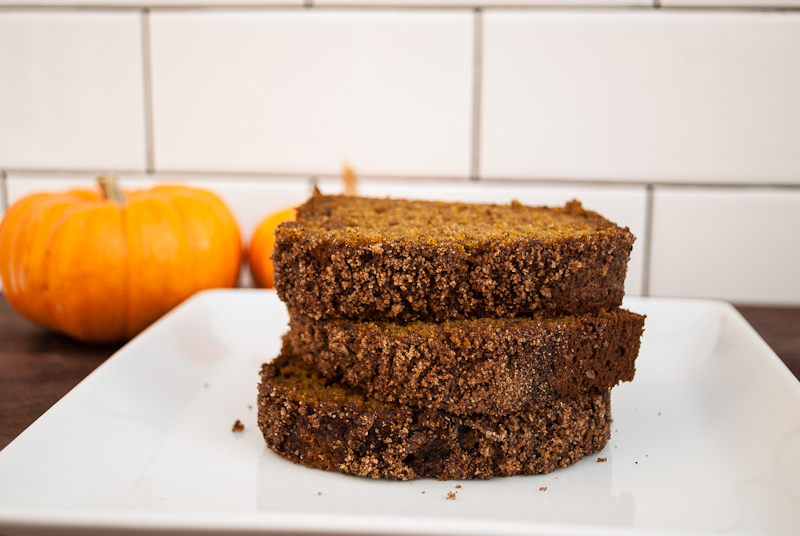 My daughter and I have this little tradition we do each Fall….Pumpkin Bread! She knows it’s Fall when I make the first loaf of Pumpkin Bread for the season. Still to this day at age 11, the “OMG” pre-teen years, she still gets excited when she smells Pumpkin Bread baking in the kitchen. Sometimes at the end of August she asks me to make it, but I make her wait till Fall is here. 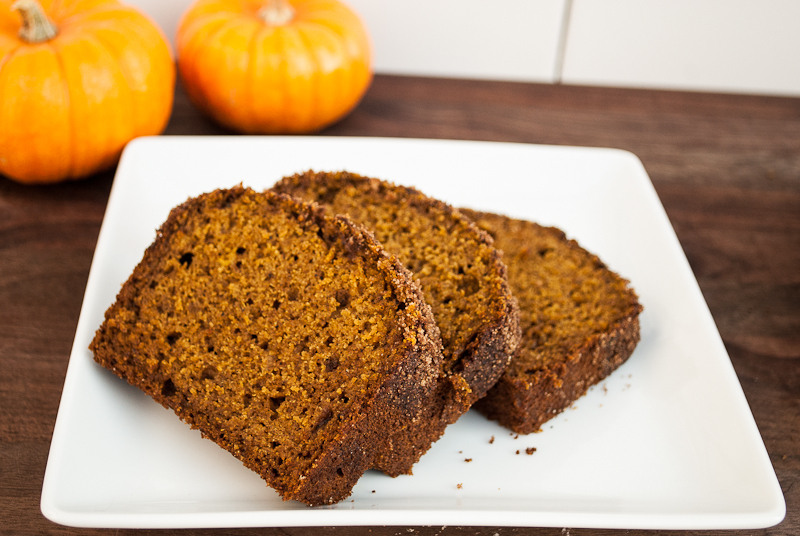 Pumpkin is my favorite Fall food. The round, bright orange squash, oh so many ways to cook with it! 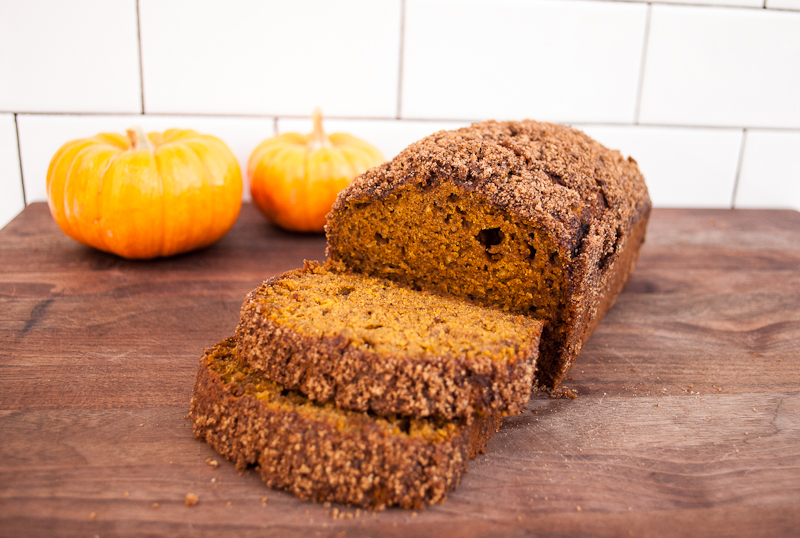 I usually pair chocolate with my Pumpkin Bread, but not this time. Today I used ground coffee. Oh ya, it gave it a nice little kick! Also if you have fresh spices, use those. They have a more pungent taste then the spices that have been sitting in jars in your cupboard for the last 6 months or so. I also love, absolutley love to use fresh pumpkin, when it’s available. Unfortunaltey, they do not start showing up in stores until mid October, so I had to settle for the canned stuff. If you do want to use fresh pumpkin, look for the small pumpkins called sugar pie pumpkins. There is a difference in the ones used for carving vs culinary! 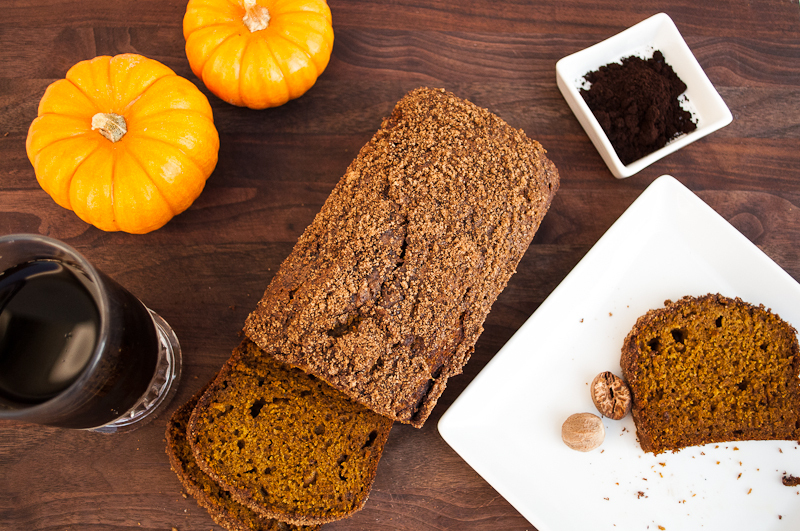 So brew some coffee, get out the bread pan, and embrace the first signs of Fall with fresh Pumpkin Bread and a cup of coffee! This one will disappear faster than the seasons, so better make a few while you’re at it! In a large bowl, mix sugar, pumpkin, oil, milk, eggs and vanilla. Fold in flour, baking soda, coffee, spices and salt. Put into the oven and bake for 50-55 mins, and wait while the room smells of pumpkin and spices! I had favorited your recipe here a few weeks ago, and wanting to use the leftover pumpkin from the holidays I’ve finally made it. Its in the oven at this very moment with a nice crumbly topping (I didn’t have coffee beans, just turkish coffee in the house) and it does indeed smell pretty fantastic, even managing to cover up the scent of my little sister’s burnt oatmeal cookies. Yours looks very moist, thank you for posting the recipe.